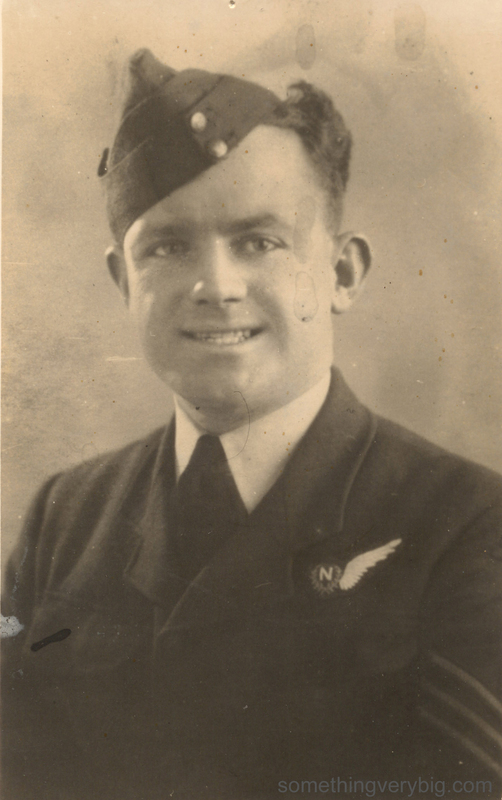 Before he left Australia, Jack Purcell had a formal portrait taken of him wearing his Royal Australian Air Force uniform. The half-wing with the ‘N’, denoting a qualified navigator, is clearly visible, as are his Sergeant’s stripes. It is one of only a small number of photos that we have of Jack and, along with his logbook, it was that photograph of Jack that first fired my interest in the subject of Bomber Command and the part that he played in it. Giving a face to match a man’s name is an important part of telling his history. It makes the stories somehow more real – as if saying that they are not mere words. They are real stories about real people. As such finding photographs of each of the seven men who flew in B for Baker was something I have been very keen to achieve. And now, having recently made contact with the final family, I have done exactly that. So here, all together for the first time, are photographs of each of the crew of B for Baker. As is traditional, we will begin with the pilot. A fine portrait of a remarkably young-looking Phil Smith, taken while on leave in London. 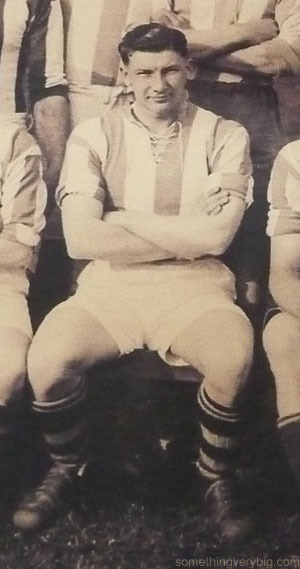 By far the youngest on the crew, Ken was just 19 when he was killed over Lille. 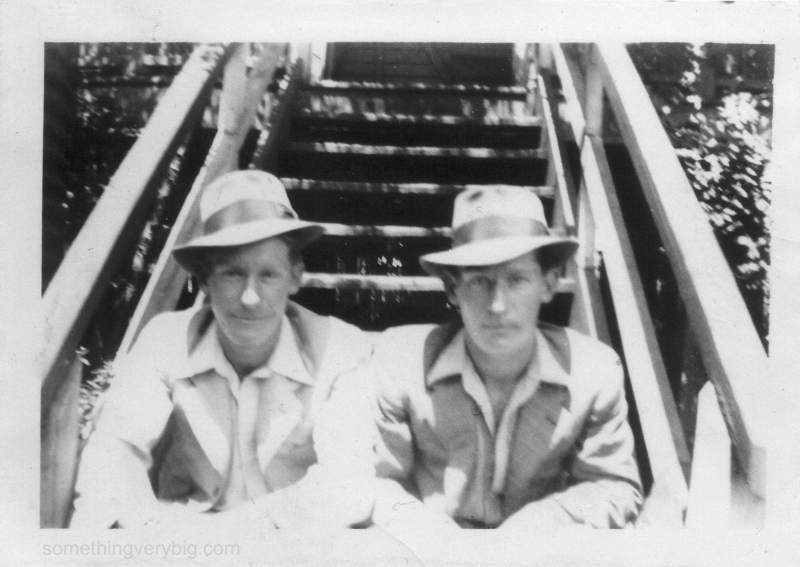 This photograph shows him on the left, with his brother Bill. He is wearing the Flight Engineer’s brevet so it was probably taken in late 1943. The presence of an N half wing and sergeants’ stripes (and the stamp from a Sydney photographer on the back of it) dates this photo to mid 1942. This was the photo of Jack that started my journey to find out more about him. At 30, Jerry Parker was the oldest member of the crew. He was married with a young daughter. Dale Johnston was from Queensland. He is seen here on the left on the steps of the family home with his twin brother Ian. 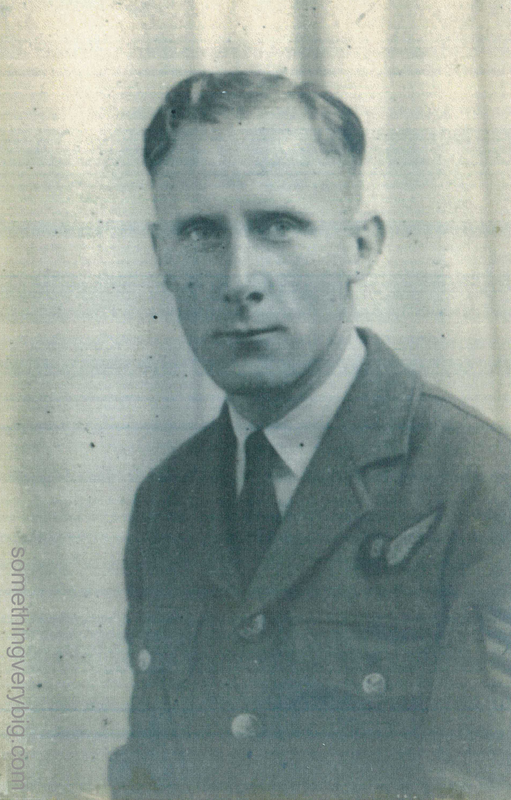 From Goring in Berkshire, Eric Hill served in the RAF Regiment before he became a member of aircrew. He first enlisted in June 1940, by far the first member of the crew to begin war service. A short stocky man, Gilbert had a brief flirtation with becoming a jockey as a teenager, until his father put a stop to all further dealings with the stables where he was working. He trained as a wool classifier before joining up. There is just one photograph that shows the entire crew. It is backlit by the landing light of a Lancaster, it’s shadowy, grainy and indistinct, but it’s an atmospheric photo. I have just received a new book called Bomber Command – Failed to Return. From Fighting High Publishing in the UK, it contains eleven chapters, written by six different authors, each chapter concentrating on the story of a particular airman or crew who failed to return from operations. I was one of the contributing authors, writing a chapter profiling rear gunner Gilbert Pate. Keen eyes might also recognise the photograph that appears on the cover of the book. It is, of course, the only known photo of the entire crew of 467 Sqn Lancaster LM475, B for Baker. This is the first time I’ve written anything for publication in an actual book, and it was rather exciting to spy on my front step the package containing my copy, open it up and see the front cover, with my name one of the six underneath the title. I’m also stoked that Steve chose the crew photograph for the cover. Its prominent position (and there’s a full double-page spread of it inside too) means that the story of B for Baker and her crew can now reach an even wider audience. I am indebted to Gil and Peggy Thew, the nephew and sister of Gilbert Pate, who extremely graciously allowed me full access to and use of Gilbert’s papers for this project. Much of my chapter was based on those letters and reading them all gave me a very good idea of who the man was. I can only hope that in what I’ve written I’ve done justice to Gilbert’s story. Steve says the book has received some very good feedback in the UK already, and there was a launch event in early September at Duxford, attended by among others two of the airmen who feature in the book. If you’ll excuse the blatant plug, copies of Bomber Command – Failed to Return are available from the Book Depository, or direct from the publisher. The concept of the ‘crew’ is of far-reaching significance to the Bomber Command legend. A Lancaster needed seven men to operate efficiently. Each man would be specially trained in his respective trade, and each trade underwent their training separately. The way those individual airmen formed into crews remains one of the more unique parts of the story. In an Air Force so demanding of rigid procedures and highly developed organisation, the majority of crews came together in a curious, almost haphazard fashion. The typical venue was a large hall at an Operational Training Unit. In the room would be gathered equal numbers of each aircrew ‘trade’. After a welcoming speech from the Commanding Officer, the assembled airmen would be told, essentially, to sort themselves out. Hank Nelson, in his excellent book Chased by the Sun, described it like “selecting a horse in a yard or a girl at a dance. You made your choice then the test of performance came later.” (C07-039-080). While seemingly chaotic, the system appeared to work well. Individual airmen would learn to work as an effective team and by the time they got to a squadron, most crews would live, work and play together. In the air they would fight together as a more or less autonomous unit. And the camaraderie would develop into extremely close friendships, some of which continue even to this day. It all started, in so many cases, in some draughty hangar at an Operational Training Unit. Yet despite this being the ‘traditional’ way that crews were made, the men of B for Baker got together in entirely different ways. The available evidence suggests that only three of them crewed up at an OTU in what could be considered the conventional sense. 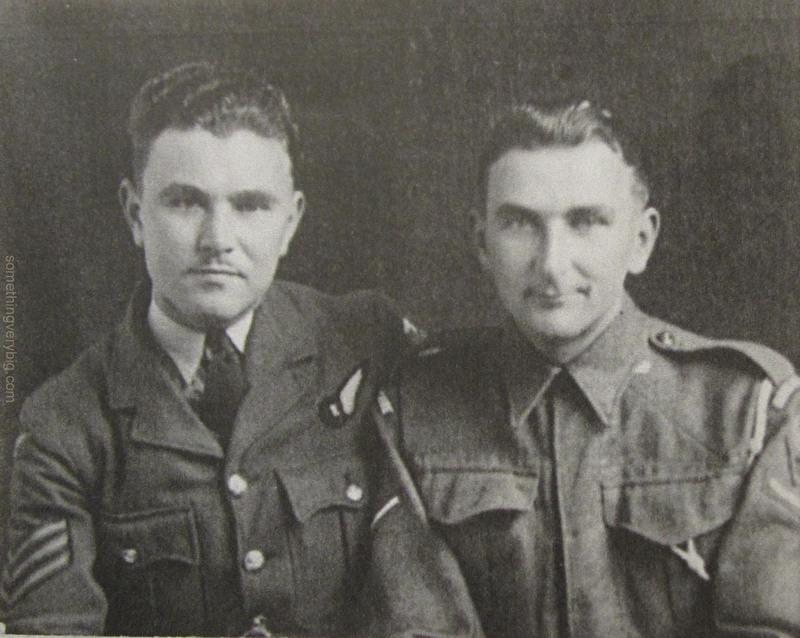 After qualifying as their respective trades, Jerry Parker, Dale Johnston and Eric Hill all arrived at 14 OTU, RAF Cottesmore, in early June 1943. 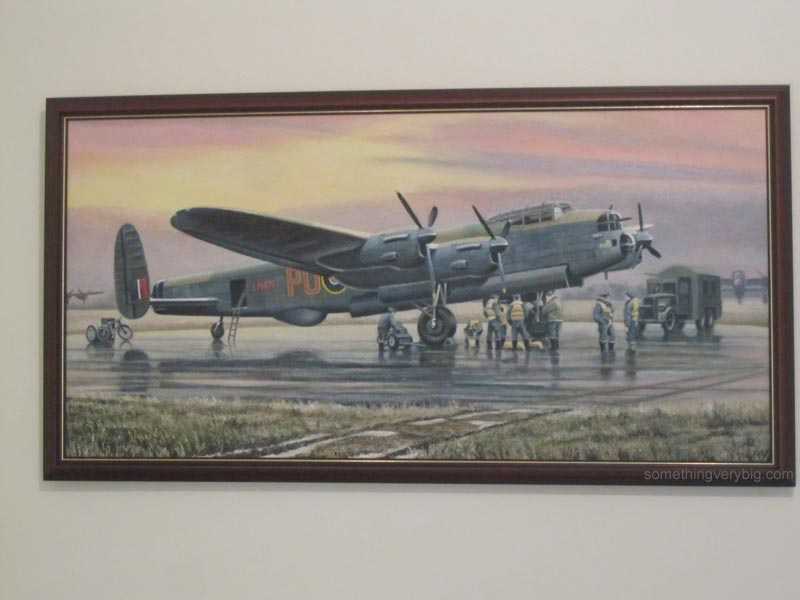 Just over three months later, on 08SEP43, all three were posted to 1661 Conversion Unit at RAF Winthorpe. The fact that all three were posted on the same day suggests that they were all part of the same crew. The first member of the eventual crew of B for Baker to reach Winthorpe was actually Ken Tabor, the flight engineer, a week or so before the three arrived from Cottesmore. Because the aircraft flown at the OTU stage of training were typically Wellingtons which were less complicated than the four-engined heavies, flight engineers would normally go straight from their School of Technical Training to the HCUs and meet a crew there. This is exactly what happened in Ken’s case. In fact, it is highly likely that he had not yet even been flying until this point – Tom Knox, who flew on Stirlings with 149 Sqn, recently told me that like many flight engineers, “at this stage I had never had my feet off the ground” (C01-480-002). Meanwhile Jack Purcell was undergoing his own operational training. He was the only member of the eventual crew of B for Baker to pass through 27 OTU at RAF Lichfield, from 22JUN43. 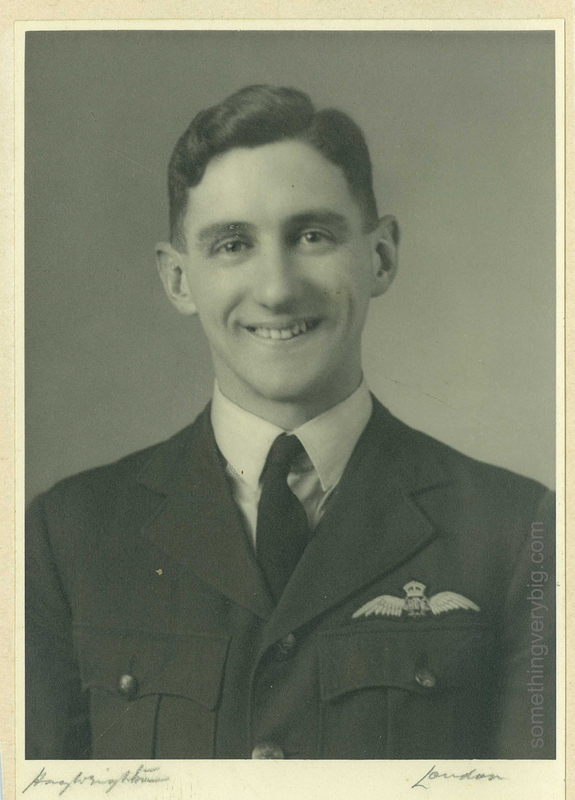 What became of his OTU crew is not (yet) known – but on 19SEP43, Jack found himself posted to RAF Winthorpe, where the other four had been for at least week and a half. He most likely joined their crew at this stage. All five would be posted to 9 Squadron, RAF Bardney, on 31 October. After their pilot, a man named JG ‘Paddy’ McComb, was lost on a second dickey trip to Berlin on 18 November, at the end of the month the crew – none of whom had completed any operational flying with 9 Squadron – were posted to 1668 Heavy Conversion Unit, Syerston. In parallel with the other five, Gilbert Pate went to an OTU (No. 17 at Silverstone) shortly after arriving in England in June 1943. He also went to 1661 Conversion Unit, Winthorpe, in September 1943. However instead of Bardney, Gilbert’s crew was posted to 49 Squadron at Fiskerton on the 22nd of that month. On 3 November, Gilbert took part in his first operational sortie, a raid on Dusseldorf. He was filling in for an injured gunner with an experienced crew. On the same night, P/O JEW Teager, Gilbert’s own pilot, went on the same operation as a ‘second dickey’. But Teager didn’t return. 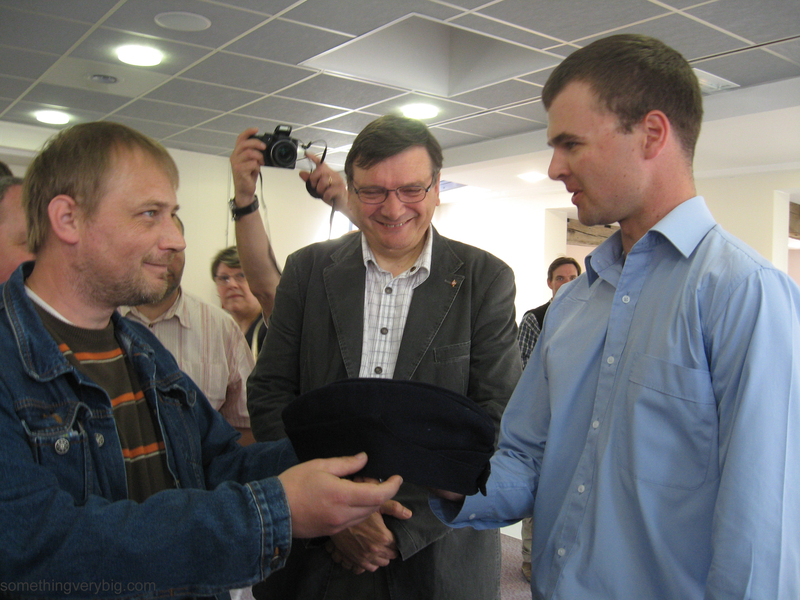 He was shot down and became a prisoner of war. Like five of his future crewmates, Gilbert’s crew now found themselves without a pilot. They went to 1654 Conversion Unit and got a new pilot, but, returning to flying after an accident, the pilot lost his nerve and this time the powers that were split the crew up. Gilbert went to 1668 Heavy Conversion Unit, Syerston, on 14 November 1943. Two weeks later, on 1 December, Jack, Jerry, Dale, Ken and Eric were posted to the same unit. Also posted in to Syerston on 1 December was an Australian Squadron Leader, DPS (Phil) Smith. He was already an experienced operational pilot, having completed a tour on Wellingtons with 103 Squadron in 1941 and 1942. Phil had been ‘screened’, instructing for a year at 24 Operational Training Unit in Honeybourne. He joined up with the three Australians and three Englishmen at Syerston and his logbook shows that his first flight with these men was 10 December 1943. After flying a total of 16.45 hours by day and 16.05 hours at night in a Lancaster, all seven were posted to 467 Squadron, Waddington, on the last day of 1943. The crew was now formed, and ready for battle. It occurred to me this week that some people who have been reading this blog might not know the basic background to the story I’m attempting to tell. So this post is a general introduction to The Story So Far. In broad terms, this blog charts the development of my research into my grandfather’s uncle and his wartime story. W/O Royston William Purcell (known as Jack) was a navigator with 467 Squadron, Royal Australian Air Force. 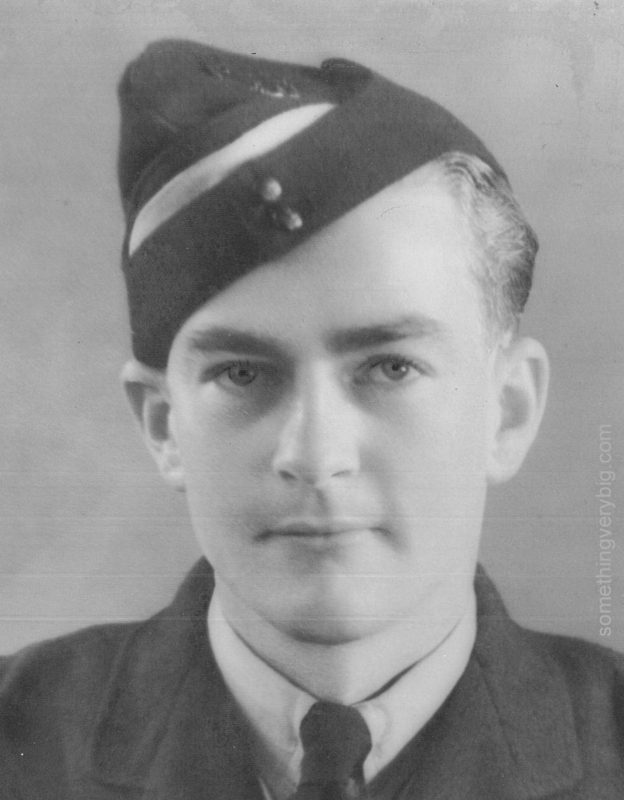 He was shot down and killed on a bombing operation to Lille in France in May 1944. Jack was 22 years old. There were seven men in Jack’s Lancaster crew. The pilot was Phil Smith, an industrial chemist from Mosman in Sydney. Flight engineer was Ken Tabor from Bournemouth, England. Jack Purcell, of course, was the navigator. He was from Strathfield, NSW, and had been a shop boy with NSW Government Railways. Wireless operator Dale Johnston was a motor mechanic from Dayboro, Queensland. Postal worker Jerry Parker, from Leyland in the UK, was the bomb aimer. Englishman Eric Hill, from Goring in Berkshire, manned the mid-upper turret, and Gilbert Pate, a wool classifier from Kogarah, NSW, was the rear gunner. They ranged in age from 19 to 30. Only one would see the end of the war. Over Lille that May night in 1944, their Lancaster exploded. Ejected by the force of the blast, Phil Smith parachuted to safety, evaded capture and was sheltered by a French farmer before Allied invasion forces passed his position four months later. His six crewmates were killed in either the blast or the ensuing crash and are now buried in French soil a few miles from the crash site. The perception of ‘Uncle Jack’ and his place in the collective Purcell family memory has been passed down through the generations, and indeed down different branches of the family tree. I was lucky that it was my father who showed an interest in, and was eventually given, Jack’s logbook and the handful of photographs and documents that goes along with it. When he first showed them to me (I was eight or nine years old at the time), it planted the seed that in recent years has turned into something approaching obsession. I have now gathered a fairly significant body of information about this crew and what they were doing in a Lancaster over Northern France in May 1944. I have traced and contacted the families of six of the all seven men in the crew. I have a worldwide network of research contacts. I have even travelled overseas twice in an effort to chase down leads and visit some of the significant sites associated with Jack’s war. Most importantly, I’ve realised that this story – one of more or less ordinary lads caught up in far from ordinary times and doing far from ordinary things – is well worth telling. I’m aiming to write a book about this story over the next few years. There remains much work still to do. At this stage I am focussing on the crew themselves, looking at where they came from, who they were and the very different paths that they took to 467 Squadron – while also continuing the search for the family of Ken Tabor, the one member of the crew remaining outstanding. I’m planning future work to concentrate on training and the journey to an operational squadron for each of these men. Then I’ll look at bomber operations in the first part of 1944 when they were on squadron, particularly emphasising the Lille raid on which the men were lost and its part in the overall context of the war in the lead-up to the Normandy invasion. I’m also hoping to investigate some theories on what actually caused the loss of B for Baker, the Lancaster they were flying. This is the story so far. Who knows where it will end up! Gilbert Pate’s first flight – ever – was in a Tiger Moth from Mascot, Sydney in August 1939. His father, Sydney, wrote about it in a letter to Don Smith in July 1944, after the crew had gone missing (A01-346-003). Gilbert had gone flying with a good friend, Andrew MacArthur-Onslow. They even flew over the Pate family home in nearby Kogarah (“2-storey”, wrote Sydney Pate, “and in the nature of a local land-mark”). Sydney also wrote that Andrew was “now alas deceased”. I decided to try and find out what happened to him. Additional information: Son of Francis Arthur and Sylvia Seton Raymond MacArthur-Onslow, of Campbelltown. Grave/Memorial Reference: Row A. Grave 6. Note that he died a Flight Lieutenant and is buried at Tamworth, NSW, the site of an Elementary Flying Training School. This suggested he was an instructor. I next searched the National Archives of Australia for a service record – which exists, but is not digitised so I can’t access it from here. I did find a record of his enlistment in the Australian Army Militia pre-war. I also looked through some Tiger Moth accident reports but found no matches. Perhaps Tamworth cemetery records would yield something. I found this page, which had the bloke I was looking for. It also had a record for another man killed on the same day – a Thomas Myles DAWSON of Queensland. Figuring two men was the normal crew complement at an EFTS, there was a good chance that both of these men were killed in the same accident. Dawson proved the breakthrough. A search for his service number at the National Archives pulled up a service record (digitised) – and, more importantly, an entry in an accident file (also digitised). It was a simple matter to access the accident file, which answered the question of what happened to F/L AW MacArthur-Onslow. 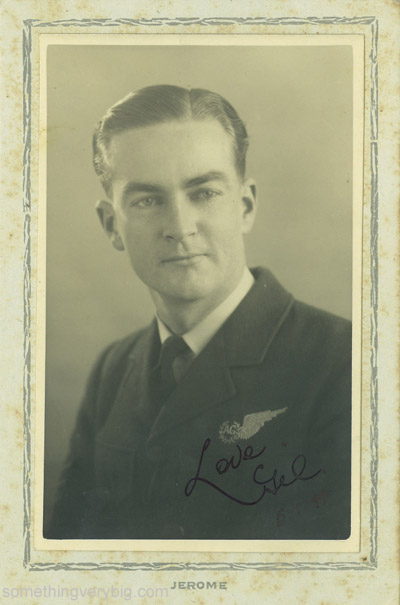 Gilbert Pate’s great mate, who had held a pilot’s licence before the war and who took Gilbert for his first flight, possibly sparking Gil’s interest in flying, was killed in a flying accident while serving with the Central Flying School. On 18JAN43 MacArthur-Onslow was flying with a Sgt TM Dawson in Wirraway A20-45, on an authorised practice low-level sortie 16 miles south-east of Tamworth. They crashed during the low-level segment of the flight and both were killed. The aircraft was written off. (A04-087-001, NAA: A9845, 102). The most pleasing thing for me in this saga is that it all happened one Friday afternoon. I was reading through all of Sydney Pate’s letters in preparation for an article I’m working on about Gil when I read the July 1944 correspondence to Don Smith. That sparked the curiosity to find out what happened to Andrew MacArthur-Onslow – and over the course of a couple of hours I found what I was looking for. Another loose thread tied off, another facet of Gilbert Pate’s life uncovered. Avro Lancaster LM475 PO-B for Baker, of 467 Sqn RAAF, sits on its dispersal at RAF Waddington on 11 April 1944. 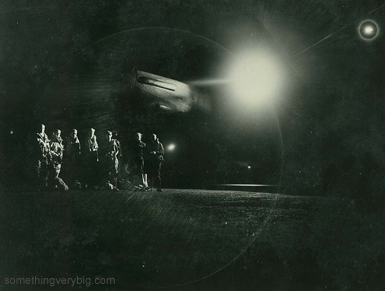 Its crew has just arrived for a bombing raid on the German city of Aachen. These men were shot down in this aircraft on an operation to Lille, France, on 10 May 1944. Only the pilot, Phil Smith, survived. The painting, by Steve Leadenham, was specially commissioned by Adam Purcell, the great nephew of the navigator. Steve advises that prints of this painting will be available in the future – details on how to get one will be posted here in due course.